Yarlington Mill is a traditional English cider apple variety producing a bittersweet juice. Yarlington Mill is in flowering group 5. Yarlington Mill is self-sterile and needs to be pollinated by another tree of a different variety nearby. 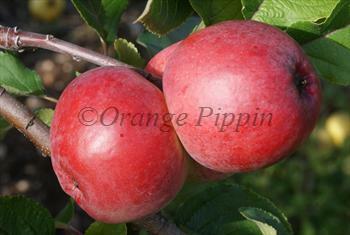 Like all cider-apple varieties it can also be pollinated by most other apple varieties or crab-apples flowering at the same time. Can become a biennial bearer, but this can be controlled by thinning the crop in the "on" year. Yarlington, Somerset, England - early 20th century.